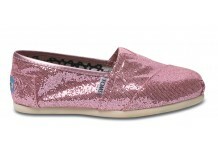 Before you start thinking I'm a horrible person, I'm all for the message behind Toms footwear. 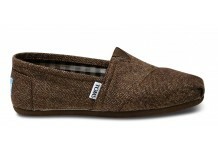 I think its fab that for every pair of TOMS bought the company donates a pair of shoes to a child in need for their 'ONE FOR ONE' campaign. 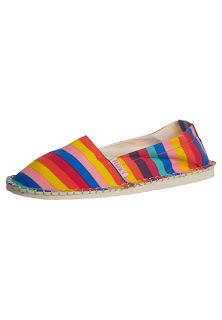 In 2006, founder Blake Mycoskie travelled to Argentina and was shocked to see that lots of children had no shoes to protect their feet, from this he created TOMS. Shoes for today and for tomorrow. Tuesday treats with the above spectacles. You can't argue that they aren't very aesthetically pleasing!!! Although its not a TOM its offensive in itself.... a) its not summer, b) its not even proper rainbow colours and c) PLEASE PLEASE PLEASE DONT DO THAT....you are not on a beach HUNNAY. 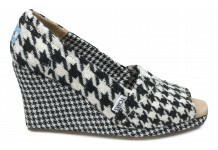 The biggest and best treat is when an ELASTICATED ANKLE JEAN IS WORN WITH A TOM/ESPADRILLE. This trend needs to bore off. 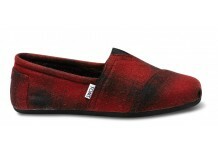 What does everyone else think about Toms? Tom-a-liciuos?